Church at Redstone | To know Jesus and make him known. Welcome to the Church at Redstone! We are a nondenominational community church serving Redstone and the surrounding area. We believe strongly in several things: that Jesus is the Son of God and grants us salvation by faith alone, that we are people with lots of problems that only He can solve, and that the community of the faithful is critical to spiritual growth. We also believe that every person is looking for … something. And so we are here to worship Christ, encourage one another, help those in need, and provide a place of peace and solace in a world that seems to offer little of either. Whether you’re looking for a church home or visiting the area for the weekend, you are welcome to worship with us. We’d love for you to join us at the Church at Redstone! We meet Sunday mornings for worship at 10 am and are located at 213 Redstone Blvd, Redstone, CO 81623. 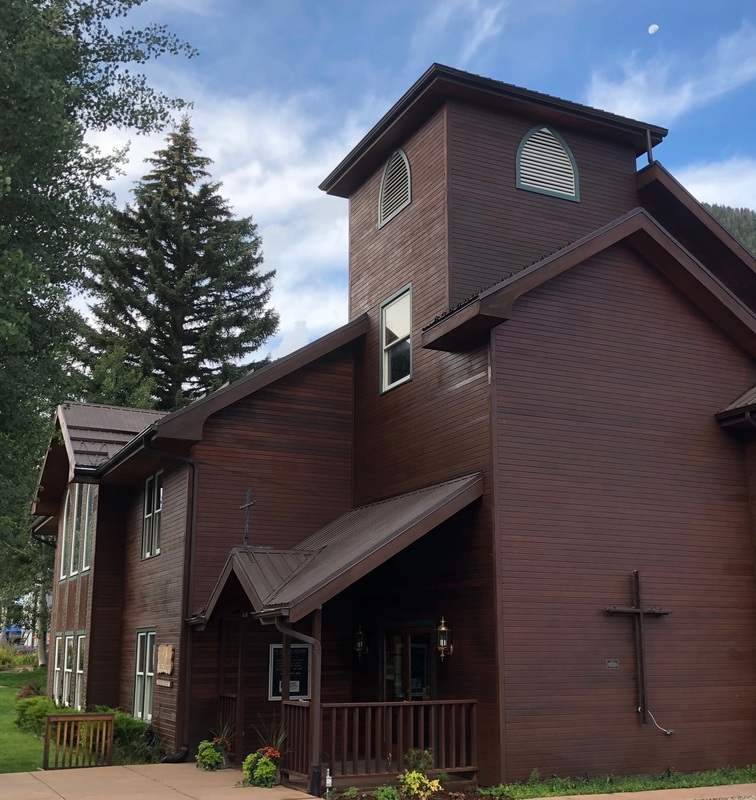 If you’d like more information, or to speak with Pastor Chris, please call the church at 970-963-0326 or email him at pastor@churchatredstone.com. Have a blessed day! We consider it a privilege to live and worship here in an area where the beauty of God’s creation is so spectacular. Our church is well known in the community for our beautiful stained glass windows. These windows are a reminder that when we see the mountains, trees, streams, and wildlife, we should praise God who designed and made all these things, and us as well. You are welcome to stop in anytime and enjoy them.